Demand Rock Candy — Rancho Mesa Insurance Services, Inc.
With the end of Spring Training and the start of the Baseball Season just around the corner I am reminded of all the valuable life lessons I learned, from my managers and coaches, during my professional career. I have always leaned on those experiences as a way to challenge, grow, motivate, and differentiate Rancho Mesa. Today I want to share a lesson I learned from one of my Managers as our team was leaving Spring Training and headed out to begin the season. Determined to help us have a great year, our Manager shared with the team some information about the pitchers we would be competing against in the coming year. He described them to us as being one of three types. The Marshmallow - Soft on the outside and soft on the inside. This is the type of pitcher who will go to the mound afraid and unsure of himself. He might be 6’4” and weigh 220lbs but if he got in a jam he would fold quickly. Certainly not someone the other team could count on – one we needed to beat every time. The Jelly Bean - Hard on the outside but soft in the middle. In baseball this is the intimidating 6”4” 220lbs pitcher who takes the mound with a scowl. They appear confident and may have a little early success, but eventually, when adversity comes, they crumble. As the game situation tightens they fold and want no part of a tough situation. Typically they are not team players, they only care about their own success, and they want out of any uncomfortable situation. Rock Candy - Hard on the outside and hard on the inside. Think Nolan Ryan, Sandy Koufax, and Bob Gibson. They know they are good; they don’t have to tell you how good they are. As the game gets tighter their pitches get better. They find a few more miles per hour on their fastball, their location improves, they are not going to fold, and they are simply tough to beat. Are they a cultural fit for my company? Do they have a specific industry expertise aligned with my company? Are they interested in my company beyond the initial transaction? How will they continue to help my company become stronger? Will they be there in the bottom of the ninth and bases loaded to close the game, or will they fold? In choosing my teammates and surrounding business partners at Rancho Mesa I continue to ask myself these same questions. Don’t be fooled by a Marshmallow, learn and move on from a Jelly Bean, demand Rock Candy. I encourage you to consider this valuable lesson I learned, accept the challenge that I took when I started Rancho Mesa, and reach for that jar of Rock Candy. 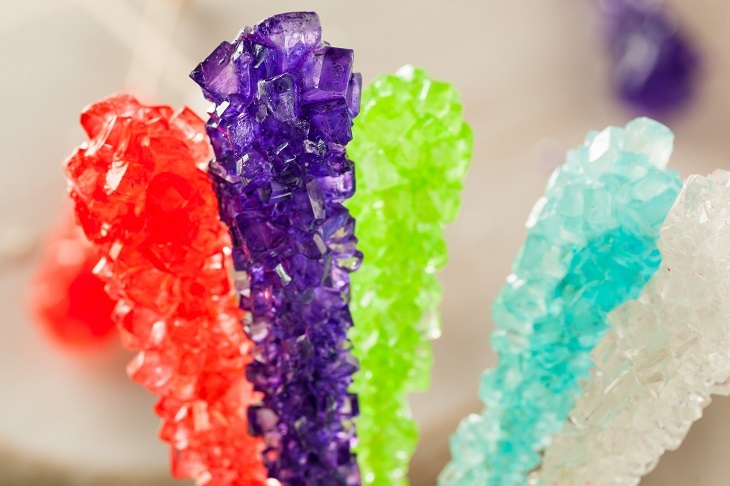 In fact, stop by Rancho Mesa and enjoy a piece of Rock Candy. We have a jar at our front desk to remind us each day of our Rock Candy commitment to our clients.